I've led a very sheltered life when it comes to booze. I am by no means against booze or drinking, I am just not knowledgeable on different liquors and what to do with them. So, when I have a drink, or make a marinade, it's typically whiskey or beer based. Once in a great while a bottle of vodka gets in the house, but it's rare. For quite a while I have been wanting to try Irish Cream, as a drink, and to bake with. I finally picked some up, and oh yeah... That's good stuff! Not something I would drink often, but I would definitely enjoy having it in the house on occasion, and I am definitely going to try baking more recipes with it. These bars were outstanding. The first pan did not last long. Normally, I have one or two bars, and the rest go on to Truckin' Man and the guys. But these bars? They stayed here, and I ate more than I care to admit. 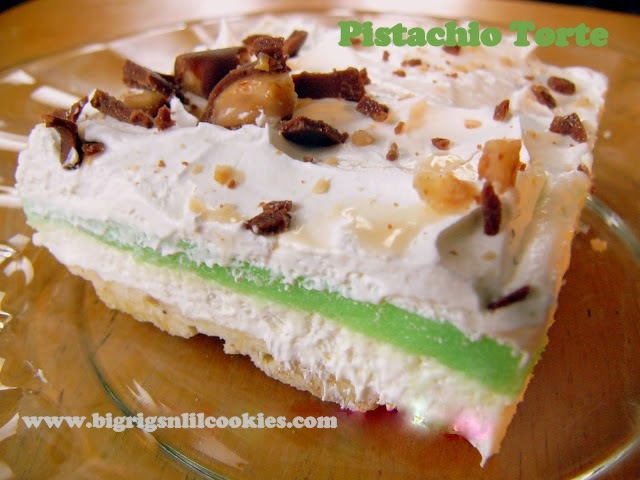 These are a nice sugar cookie bar, with a kick for your St. Patrick's Day Menu. They aren't overly sweet, one of the many reasons I enjoyed them so much. If you want a non-alcoholic version to try, my suggestion would be to try the Irish Cream coffee creamer. Preheat oven to 350 degrees. Line 8x8 pan with parchment paper, set aside. In large mixing bowl, cream butter, powdered sugar, brown sugar, and salt. Add egg, egg yolk, and Caramel Irish Cream, mixing until combined. Gradually add flour, mixing until flour is completely incorporated. Press dough into prepared pan. Bake for 30 minutes, until edges are light golden. Let cool completely. Once bars are cooled, beat butter in large mixing bowl until smooth. Gradually add powdered sugar. Add brown sugar and Irish Cream as needed to reach spreading consistency. I like your soft caramel Irish Cream cookie version. 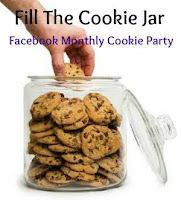 Great tip to use the creamer for a non alcoholic cookie dough. They look delicious, my friend! Have a fabulous day. Hugs! Yes, these are wonderful. I always love your cookies and this Caramel Irish Cream Cookie Bar is a special holiday treat. Yum I love Irish Cream and I can imagine these are wonderful too! Thanks for your visit. 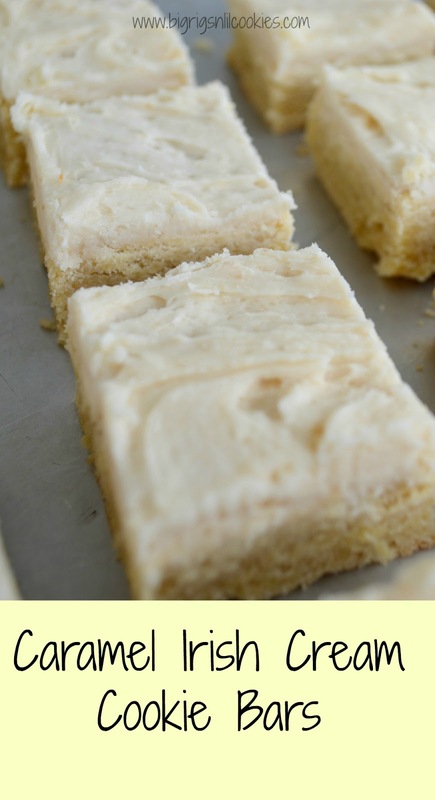 Great idea to use Irish cream in baking! I will have to try it! I didn't know there was such a thing as Caramel Irish Cream, but now I want it. And now, I want these cookies. These look amazingly delicious with Irish cream! Wow, another great recipe. :-) I am like you, I have not tired many of the kinds of alcohol. I did make a chili with a dark beer. That was different. How about Cream De'Mint I have a bottle of that for grasshopper drinks. I bet I could do a dessert with it? Oh my gosh. Now I must run out and get some Irish Cream. Or rather, Caramel Irish Cream. These look delicious! My husband drinks bud light or vodka, neither are that inspiring to bake with. I love the idea of Irish Cream but haven't given in yet. Now it's on my grocery list!